We have all faced times in our lives when we realize we aren’t doing what we should be doing. Financially speaking, this sentiment drives people into my office. Most often people realize they aren’t doing as well as they should or they simply don’t know what they should do. Outside of my office, I know there are plenty of folks who simply hope for a change. They hope that a change in circumstances will magically come along and whisk away their financial concerns. I guess a piece of all of us can say that, but the difference between a dream and reality are two entirely different scenarios. If we want our financial world to be better, we need change. Sure, winning the lottery would create change, but it’s not very likely. So, if you want change, you will have to go out and create it. Growing up in a small town in Texas, I have seen many folks simply settle….settle for what they have and give up on becoming the best they can be (financially speaking that is). The ultimate goal shouldn’t be about monetary wealth, it should be about our total wealth, which includes our overall happiness and wellbeing. 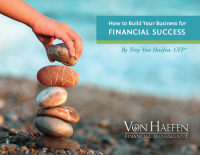 So, again money isn’t always the answer, but sometimes a better financial strategy can help us reach overall life goals. I speak often with clients about the importance of balance. Maybe I could work another 20 hours a week and bring in more money, but what good would the money mean if I don’t have time to enjoy it. If I can’t spend time with my family, I wouldn’t be happy. It’s all about balance. Along with striking a balance comes the idea of change. If we continue to do what we’ve always done, we’ll get what we’ve always gotten. So, if you have bad financial habits or can’t seem to get ahead financially, maybe it’s time for a change. For years, I have told my children that “the road to failure is the one of least resistance.” They have heard this plenty of times to remind them that we must initiate change. For those who chose not to proactively implement financial change, they should not expect a different outcome from past experiences. Making a change is hard. Experts say it takes between 3 weeks to 3 months to create a new habit, so it won’t be easy…..but it will be worth it. Since most financial “issues” are wrapped in a psychological shell, unwrapping the problem could be traumatic. If you want your financial picture to improve, you must take on the challenge and make a change. The problem of where to start is very common. Working with a fee-only financial advisor who is an unbiased third party is certainly a good starting point. An unbiased third party can see the picture without any of the emotion wrapped around the financial issues. 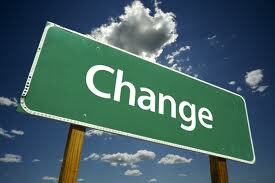 Pull yourself up by the bootstraps and make a change….a financial change….a change for the better. This entry was posted in Fee-Only Financial Planning. Bookmark the permalink. ← Don’t go big: Go small! That’s an interesting way to look at things, there are certainly a huge number of pieces of software which can help you manage everything if you’re willing to sit down and actually set them up though. Thanks for the response. I would be interested in hearing how software can help create balance ( beyond scheduling software…etc). I feel balance comes from perspective, which is something too human to capture from a software program. I would certainly welcome your thoughts. inspired! Very helpful info specially the ultimate phase 🙂 I care for such information much. I wass seeking this certain info for a long time. There are many type of taxes in this era, and the one that we are going to discuss is the BR. you don’t have the funds, can you borrow from friends or relatives. not to become so buried in online activities that you steal time away from your core business. and most importantly, its appropriateness for your body and whether it would offer results in line with your expectations. bone, forming a cushion for the skin to relax. Techniques and trends like branding, managed care contracts, practice ownership, and sales have not been as affective (Beckman). The final large expense SEO creates is tracking and analyzing data. it is very much necessary to be successful online. appeal property tax, tax property consultation, an d more. less than the full amount.